Each one of our SCUF Infinity4PS controllers for PlayStation®4 is part of a collection, from the smooth luxury of the Carbon Fiber Collection to the fashionable prints of the Designer Collection. 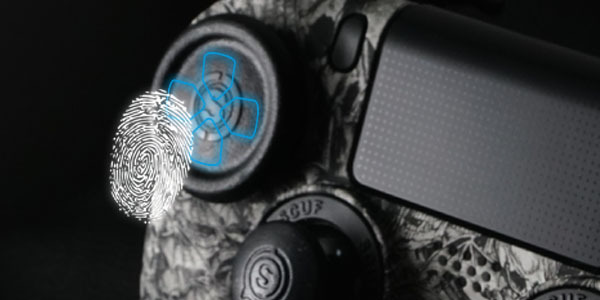 No matter what your style is, there is a SCUF Collection that is perfect for you. 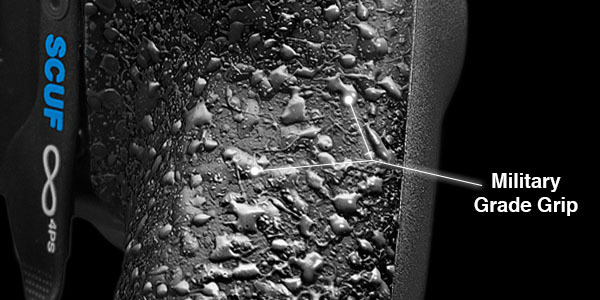 Paddles enable up to 50% more hand usage in advanced gameplay. 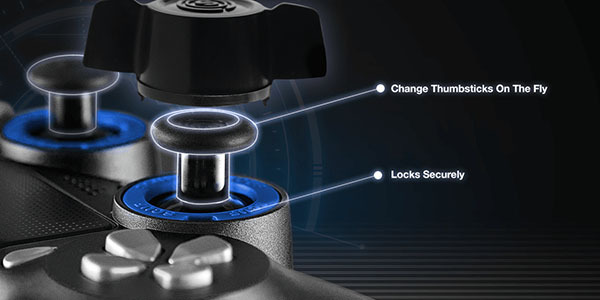 Change thumbsticks in seconds with the Infinity Ring & Lock system. 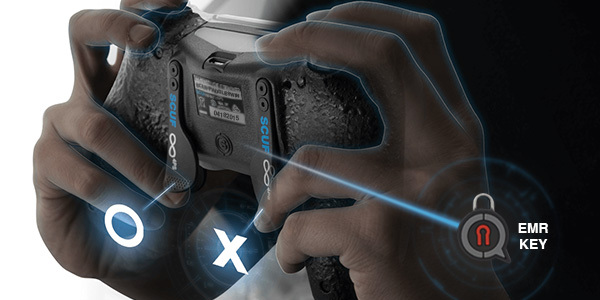 Use Electro-Magnetic Remapping (EMR) to configure paddles to suit play styles for all game genres including FPS, sports, fighting, racing and more. 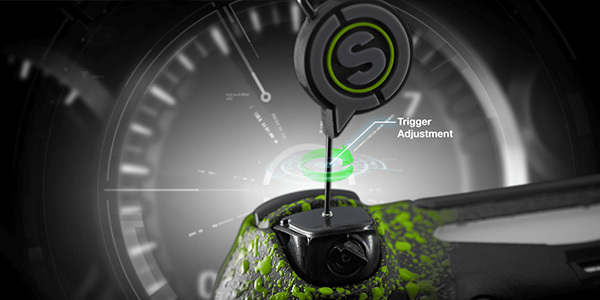 Quickly tune adjustable triggers to locate the 'sweet spot' during gameplay. Especially effective for FPS games. 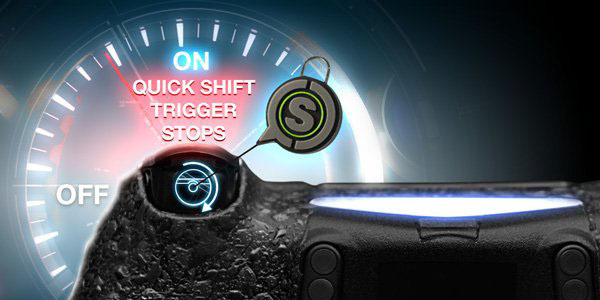 Activate your trigger stops to optimize the distance of your triggers! Precision Thumbsticks are removable and available in two different heights with two shapes to suit all hand sizes and play styles. Say hello to SCUF Gaming’s latest Controller of the Week: Anodized Gold. Available for both PlayStation 4 and Xbox One, Anodized Gold represents the true symbol of any champion: the Gold Medal. 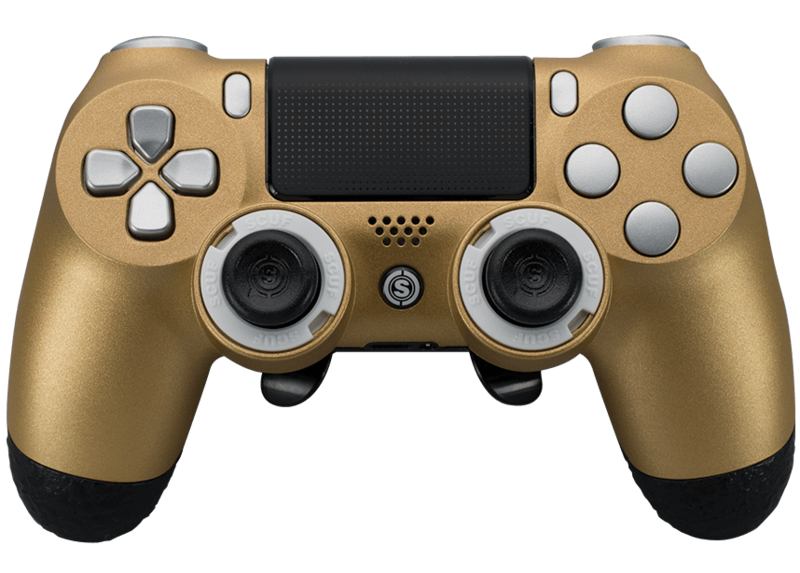 For players who have no interest in settling for silver or bronze, the SCUF Anodized Gold Infinity Series is jacketed in a treasure chest shimmer that stands out in a world full of regular controllers. In addition, the Anodized Gold controller is customizable, with countless options for colored buttons, trim, and thumbsticks. Each and every SCUF Gold Infinity Series controller is equipped with the innovation of SCUF technology, so you know the gold standard is being held on the outside and the inside.